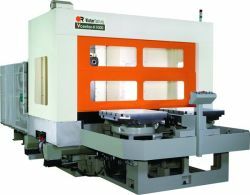 Twin arm type ATC (Automatic Tool Changer) performs better overall continuous tool changes compared with disc type tool changer, while at the same time offering faster tool change - merely 3.5 seconds with BT-40 or CT-40 tooling. 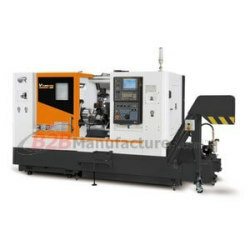 1.Z-axis acceleration 0.75G minimizes tool changeover time. 2.Rapid feed 42/42/42 m/min minimizes non-cutting time. 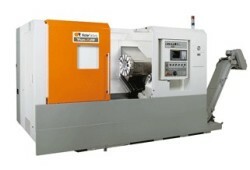 3.Directly-coupled 12000rpm spindle assures part surface finish. 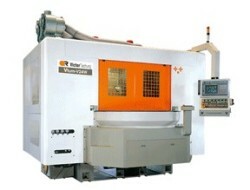 *Long overhang for headstock on A-series Vcenters. 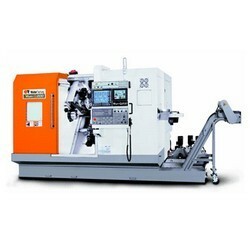 1.Multi-tasking lathe with built-in spindles. 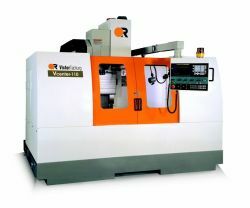 2.4-axis or 5-axis machining in one set up. 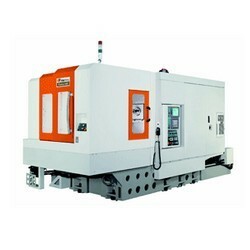 3.Roller geared swivel tool spindle. 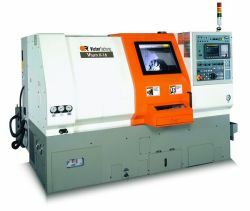 1.Twin built-in spindles and swivel head with built-in milling spindle implement 4+1 axis machining in one set-up. 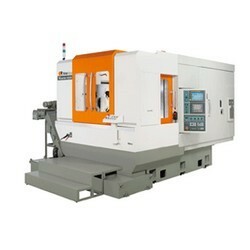 2.Turning by 3000 rpm spindle with 12"chuck and milling by 12000 rpm spindle with HSK-T63 tooling system. 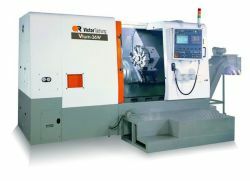 Victor design one new vertical lathe Vturn-560 to meet higher roundness requirement for auto parts. 1. 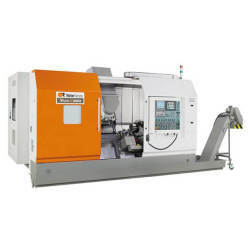 From the initial design stages through to the final testing, machine production is tightly controlled and monitored adhering strictly to the principles setout in ISO 9001. The VTplus series of compact chuckers incorporates technical features that should enable the user to maximize profit potential through a high rate of performance that will increase productivity. 1. 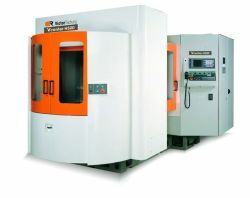 With the increasing demand for bigger and bigger alloy wheel manufacturing. Victor has come up with an alternative solution for easier loading/unloading wheels and further reduces the spindle idle time. 1. 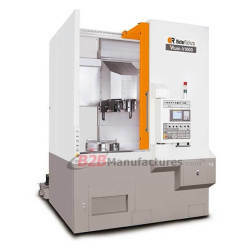 As with all Victor machine tools, Vcenter-H630/H1000 has been designed with the concept of reliability and stability foremost. 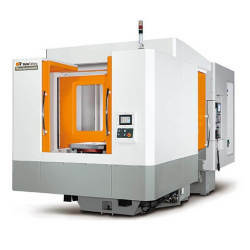 Machining centers built to withstand the heaviest of today's cutting conditions. 1. 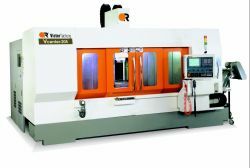 Designed by following extensive research and feedback from numerous machine tool users, Victor's new Vcenter-205 has been designed with a long fixed table to provide multi-tasking machining precision with 30m /min rapid traverse in all axes. 1. Fast indexing, durable toolpost. 3. 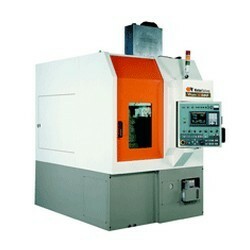 High rigidity, high precision spindle. 1. 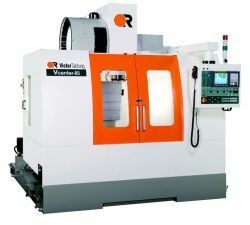 Rapid federates of 30/30/24 m/min. 2. Tool changes of 2.5 seconds. 3. 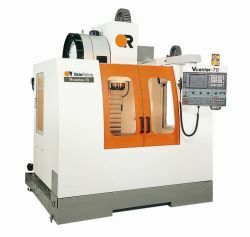 8000rpm spindle with rigid tapping. 4. Bellows type guarding on Z axis. 5. 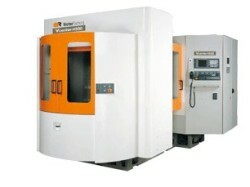 Large work table for 4th axis applications. 6. 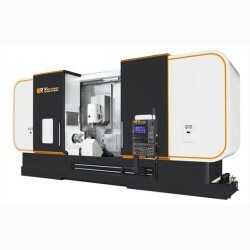 3 axis linear guides. 1. 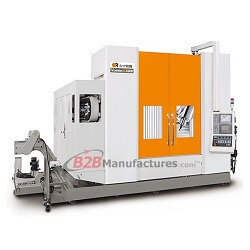 All linear guides for 3 axes , X/Y/Z - 24/24/20 m/min. 2. Box slideways for 3 axes, X/Y/Z - 20/20/18 m/min. 3. Combined with box slideway column, 24/24/18 m/min. 4. 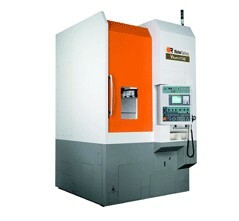 Versatile heavy duty spindle. 1. 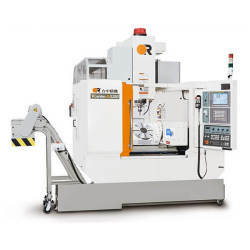 Z-axis acceleration 0.75G minimizes tool changeover time. 2. 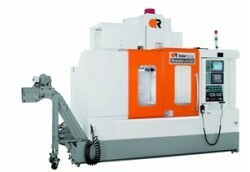 Rapid feed 42/42/42 m/min minimizes non-cutting time. 3. Directly-coupled 12000rpm spindle assures part surface finish. 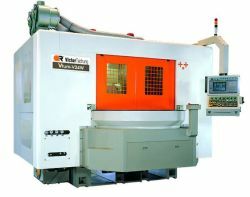 With the increasing demand for bigger and bigger Alloy wheel manufacturing Victor has come up with an alternative solution for easier loading/unloading wheels and further reduces the spindle idle time. 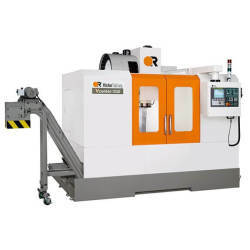 Following the increasing demands for the rear boring on wheel valve hole, Vcenter-H26W is launched to meet this requirement for OEM wheel manufacturers to cover wheel size 13"~ 26" machining. 2. 3rd turret (lower turret) minimizes the cutting time difference between OP-10 and OP-20 to balance cutting tempo.